It’s been a rough and excruciatingly long winter. That reason alone is why you should show yourself some love and indulge. However, even when Spring does decide to show up, these hump day treats will always get you through the rest of the week. Check out all of the goods below at Swing into Spring on April 24 and shop district-wide sales at over 40+ retailers. If you haven’t tried it, you’re missing out. 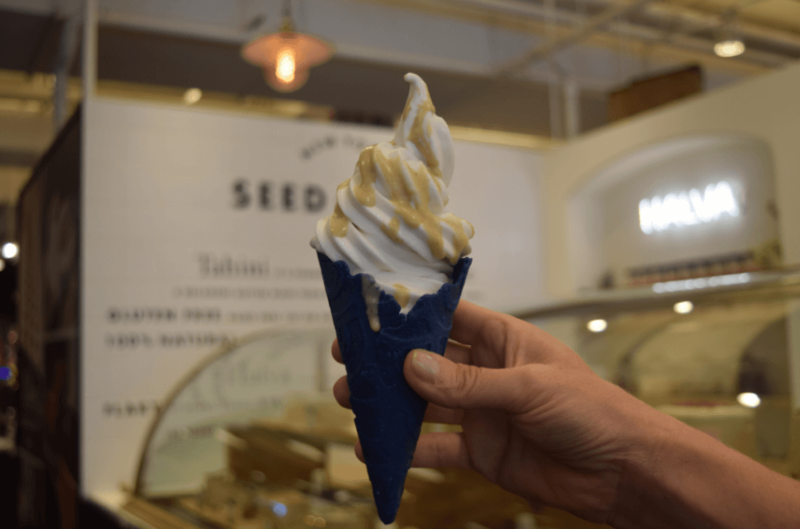 This unique ice cream is made with goat’s milk and tahini making it delectable and delightful. Top if off with halva crumbles or more tahini to be over indulgent. It may not feel like Spring yet, but damn it, we’re drinking like it does. 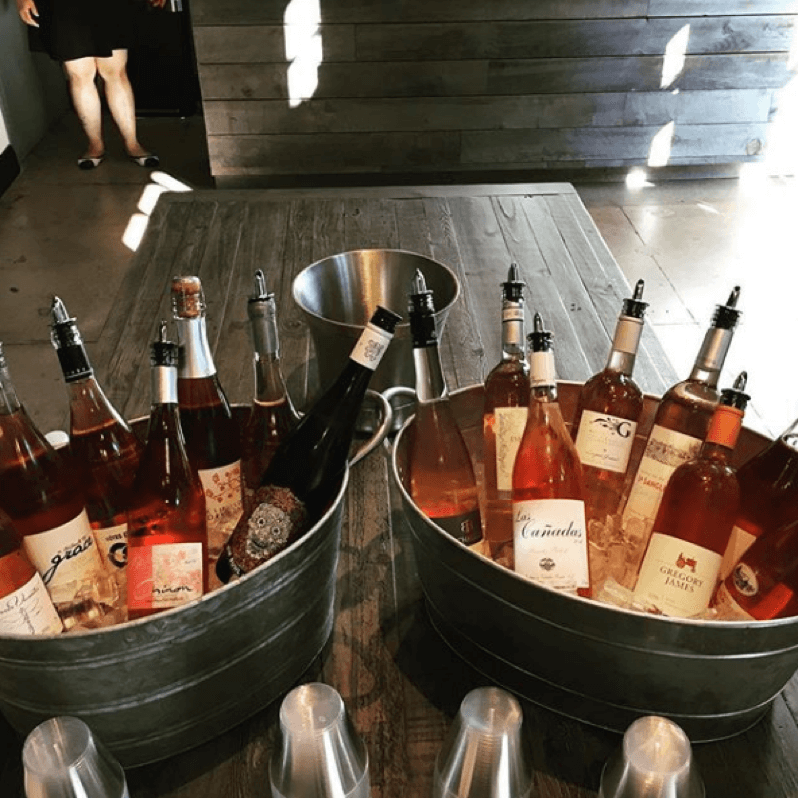 Pick up a bottle from the very knowledgeable and helpful staff that will guide you through the wide array of rose’s carried in-store. Let’s face it, winter is rough all around but especially on the skin. From anti-aging, to detoxifying and balancing there’s a facial for all needs. Be nice to your moneymaker and show it some love. Pro tip: there’s a wine bar in this French boutique for you to unwind to the fullest. The French know how to live. 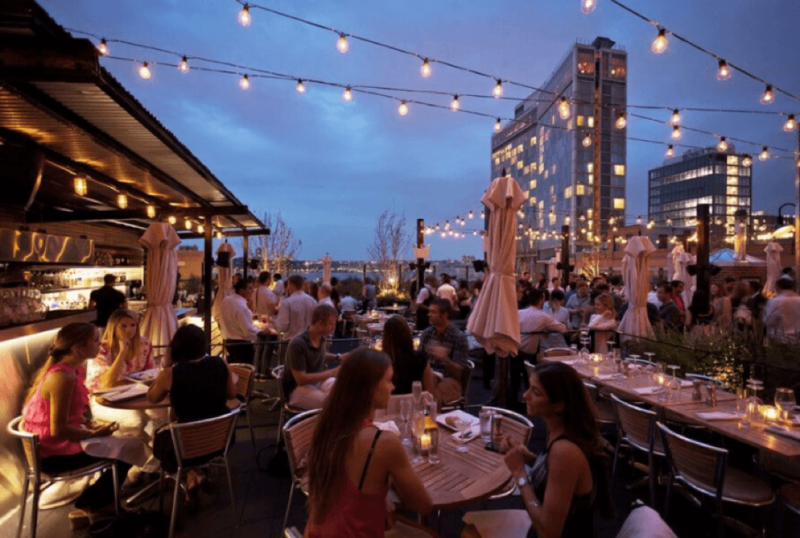 What better way to indulge then to sip cocktails than on a rooftop underneath twinkling lights, looking at the Hudson. Go all out and gorge on steak while you’re at it. Two words. Truffle chips, enough said. But seriously, these chips are delicious and addicting. You’ll probably want to stockpile a few bags for your desk, because you will get hooked. 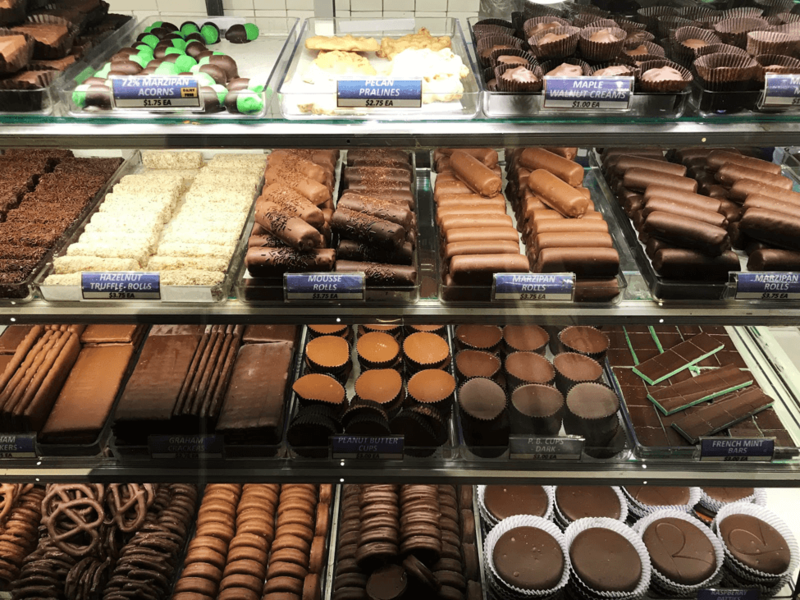 Chelsea Market Baskets is overloaded with all the midday indulgent snacks. Other fan favorites include the chocolate/candy bar where you can load up a bag to your heart’s desire. Nothing screams indulgence like chocolate. This Chelsea Market staple has tons of variety to feast your eyes [and taste buds] on. Go easy and pick up a caramel bar or almond crunch, or go crazy and grab a whole box of truffles while you’re at it. This new dessert-centric spot is the ultimate place to satisfy your sweet tooth. ‘Gram worthy treats include giant s’mores, ice cream sandwich flights, build-your-own cookie bar, stuffed brownies and more. Plus, you can enjoy all of the above with their fully stocked bar. It’s a win all around.